I’ve been running the Windows 8 Consumer Preview for a few months and although I’m okay with Metro replacing the Start Menu, I hate seeing the new interface by default every time I reboot. When Windows 7 starts, you hit a login screen (assuming it’s enabled) and then you’re brought straight to the desktop. 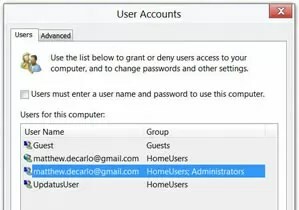 When Windows 8 starts, it displays a lock screen that you have to move out of the way before entering your credentials, and then you have to dismiss the Metro interface before accessing the desktop. Like I said, I’m cool with Metro, but I have no desire to see a full-screen Start Menu when I log into my PC. Hopefully the retail version of Windows 8 will make it a little easier to force Metro into the background, but it’s entirely possible to do this on the prerelease builds if you have five minutes to spare. Likewise, it’s easy to disable the lock screen and have Windows automatically log you in for hassle-free reboots. Search for Windows’ Event Viewer in Metro’s settings (it appears as “View event logs”). 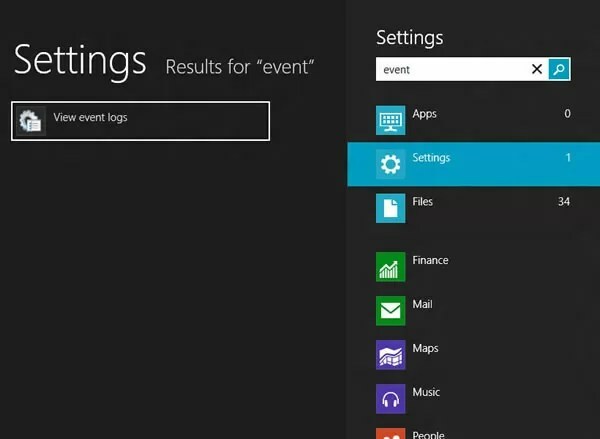 Click Windows Logs > Application in the left column to get a list of events in the center. 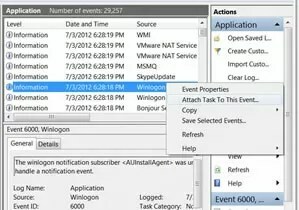 Right click the Winlogon entry and choose “attach task to this event” to schedule a task. 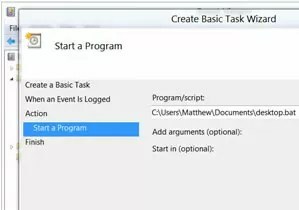 Name your task anything you want and click next three times to choose your script. After the script is configured to run, you won’t have to manually dismiss the Metro interface anymore. It’s worth noting that you will still see Metro briefly as the script takes a second or two to kick in, but at least it’ll show itself to the door. If anyone finds a quicker-acting solution, feel free to share it. This one’s less involved. 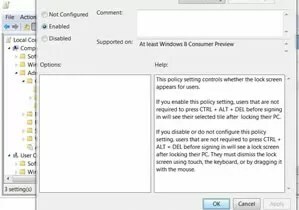 Fire up the Group Policy Editor (search for gpedit.msc via Metro) and head to Computer Configuration\Administrative Templates\Control Panel\Personalization. 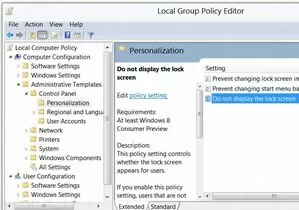 Once you’re there, double click “Do not display the lock screen” and enable the policy. The lock screen should be disabled. Naturally, you don’t want to do this on a notebook or any other machine outside of a secure area — including your home if you have mischievous siblings or roommates — but it’ll make the log in process that much quicker. 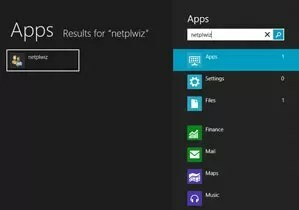 Search for netplwiz via Metro and uncheck “Users must enter a user name and password to use this computer.” Provide your credentials and your account will load automatically.